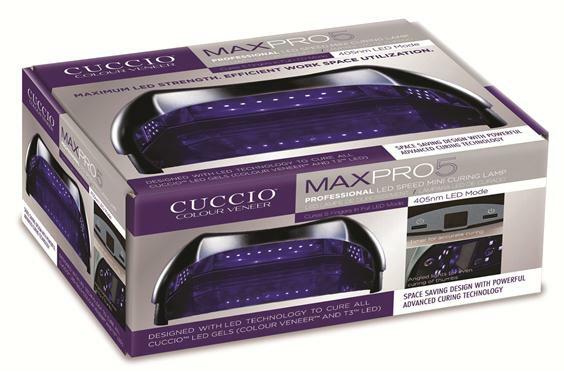 The Cuccio MaxPro5 Professional LED Speed Mini Curing Lamp features LED lights strategically placed at an angle to ensure even curing, including thumbs. The lamp is lightweight and portable, making it ideal for nail techs on the go. For more information, visit Cuccio .